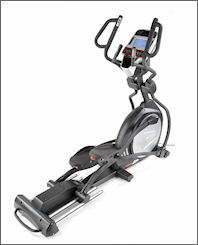 Ellipticals provide a very effective way to get a true full-body cardio workout. 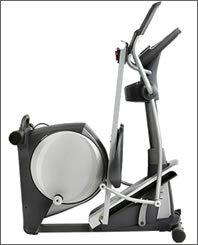 An elliptical machine provides a low impact workout that’s easy on your joints. One excellent benefit of this is that since you’re able to work out more comfortably you’re able to go longer and burn more calories and fat. In addition ellipticals allow you to effectively and efficiently work both your upper body and your lower body at the same time. This is advantageous from a efficiency standpoint as an elliptical workout lets you get more done in the same amount of time. If you’re looking to get fit and your time is valuable then definitely look at ellipticals like we offer here at TV Gyms. 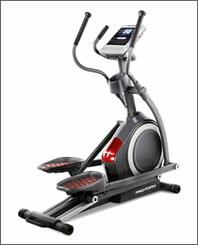 Ellipticals from top manufacturers like you’ll find here come with some pretty high-tech features these days. Everything from computerized consoles with multiple exercise programs and advanced workout tracking to heart rate monitors and high quality speaker systems. Many even allow you to store multiple customizable workout profiles so the whole family can take advantage of having their very own profile. Many offer so many advanced features that they make working out fun again so you’ll want to exercise every chance you get. And getting more exercise is what it’s all about isn’t it? 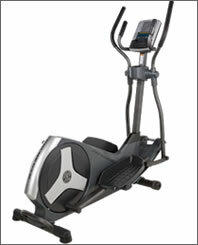 Check out the selection of ellipticals that we offer and find an elliptical fitness solution that’s perfect for you. We offer ellipticals from only the leading manufacturers in the fitness industry so you can be assured that every elliptical machine you’ll find here is of the highest quality. Sole Fitness E98 elliptical was built for the demanding commercial environment but is affordable enough for residential or light commercial use. 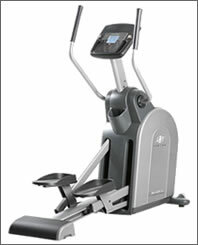 The powerful combination of a precision balanced flywheel system, ergonomically positioned articulating foot pedals, and a 20″ stride length makes for a well-designed machine that provides an extra smooth feel and a challenging workout in a commercial or residential setting. 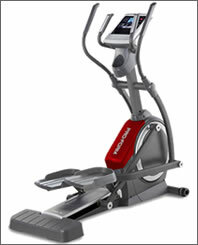 The E98 also has a power incline feature which facilitates a powerful workout targeting areas of the lower body that normally wouldn’t be worked out on elliptical machines that lack this feature. 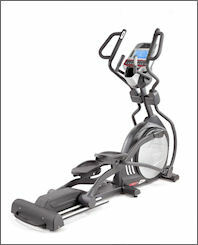 Sole Fitness E35 elliptical is an exceptionally smooth, stable and fluid fitness solution that has been rated as a “Best Buy” by a number of the leading consumer websites and magazines. It offers numerous features and benefits for a very attractive price. The Sole Fitness E35 elliptical offers exceptionally fluid natural motion that’s provided by a whisper quiet drive system. The combination of a heavy 29 lb. flywheel and a high gear ratio not found on comparable models means an extremely smooth feel with plenty of resistance at the top end for a machine that will provide a challenging workout. 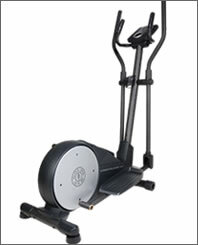 The E35 elliptical is designed to provide a powerful total body workout while also being friendly to your budget. 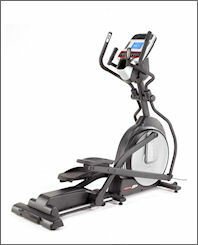 Sole Fitness E25 elliptical is an exceptionally smooth, stable and fluid fitness solution that is considered by many in the fitness industry to be the best elliptical machine available for under $1000. For a very economically priced machine it offers some very intriguing features and benefits that you don’t normally find on an elliptical in this price range. The E25 features oversize foot pedals that were designed in collaboration with a leading physical therapist to provide an exceptionally comfortable workout. 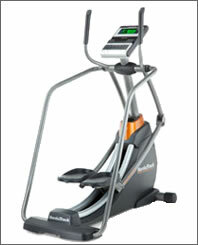 They were designed to reduce the ankle and knee stress that is common in competing elliptical machines.